Please read the following regarding parking at 9/11 for the event and for all events at this field. 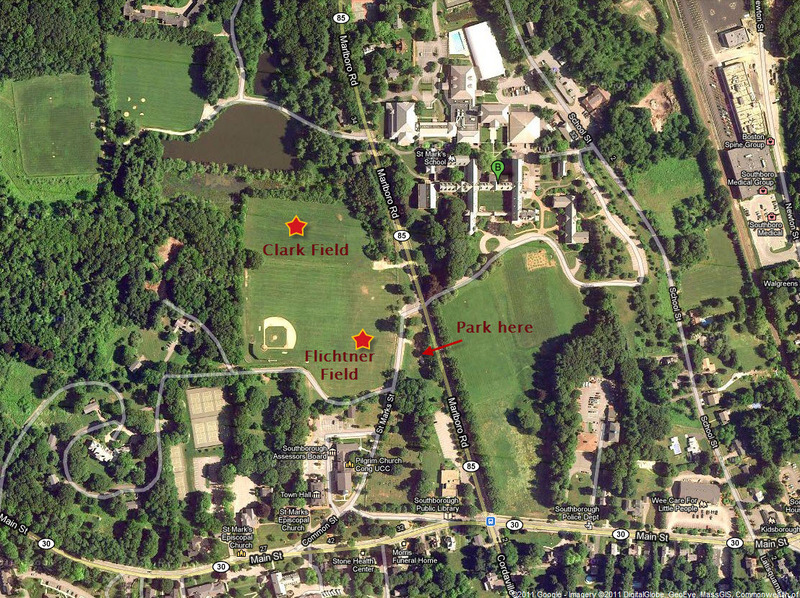 We need everyone's help with the limited parking situation at 911 Field in Southborough. Please carpool!!! Parking is very limited. Park as close as possible to the next car. Pull all the way forward to the cement curb. DO NOT park on the road or you WILL definitely be ticketed and towed. If you park behind the goalposts, PLEASE keep the fire lane open. DO NOT enter through the EXIT - it is dangerous because kids run from the port-o-let to the field and don't look. The speed limit in the lot is 5 mph. From exit 12 on the Mass Pike take Route 9 west about 2 miles to route 85 north to Southborough. Travel on route 85 north for about 1 mile to the Rte 85/Rte 30 intersection - Main St. traffic light. From exit 23 on I 495 take route 9 east about two miles to route 85 north to Southborough. Take route 85 north for about 1 mile to the rte 85/rte 30 intersection - Main St. traffic light. Turn left onto Marlborough Road and proceed for only 1/10 mile. Turn right onto Acre Bridge Road. 9-11 Memorial Field is 2/10 mile on your right. Turn into the parking lot just after the field. Note: If you proceed on Marlborough Road and see the "Entering Marlborough" sign, you missed Acre Bridge Road. Take Mass Pike to Route 495 North to Route 20 West. Continue approximately 3 miles to stop lights at Bartlett Street. Turn left. The school is 1/4 mile on the left. Take Church Street exit toward Northborough. At Route 20, turn left and continue to lights at Bartlett Street. Turn Right. The school is 1/4 mile on the left. Take Route 9 to Route 135 North to Center of Northborough. At lights, turn right onto Route 20. Follow Route 20 to lights at Bartlett Street. Turn right. The school is 1/4 mile on the left. 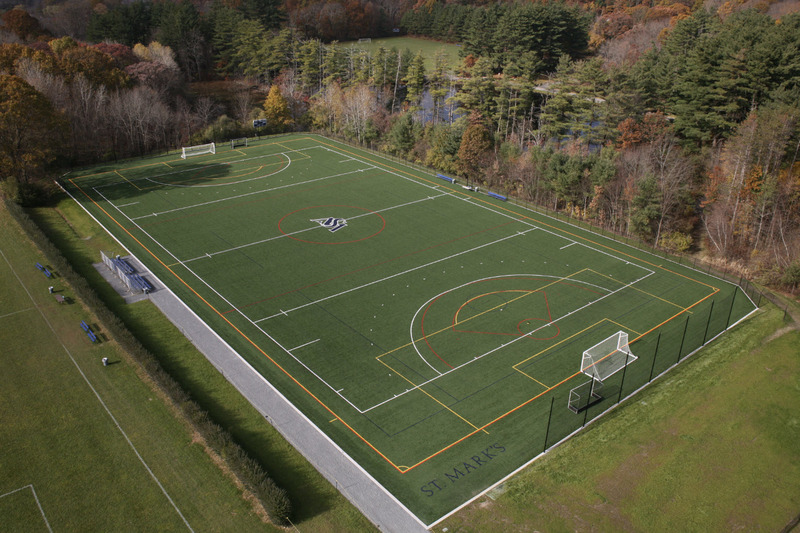 Flitchner Field is located directly across the street from the main entrance to St. Mark's School (the west side of Rt. 85). It is about 200 yards north of the intersection of Routes 30 and 85, and you can park in the grass lot just north of the Southborough Library parking lot. This is where the U9 games and practices are held. Directions: St. Mark's Sargent Field is located on Rt. 85, directly across from the main entrance. There is a triangle of grass located just north of the Southborough Library where everyone should park. You can then walk across the baseball field to reach Sargent Field, which is well marked by its scoreboard.